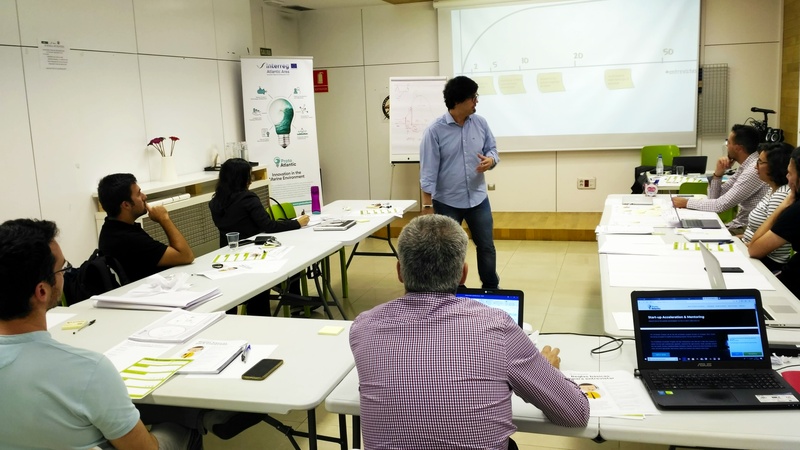 ProtoAtlantic Accelerator Program Workshop 2: Lean Start-Up took place in Palet Express (Las Palmas de Gran Canaria) on Thursday, 13th November 2018. This workshop was attended by eleven participants, representing eight start-ups/entreprenuerial ideas. This second workshop in Las Palmas was facilitated by Aday Francisco Guerra, who is an expert educator in several business schools and accelerators, such as EOI and Lazarus, while he also has an abundance of experience in training business schools, accelerators, large organisations and SMEs in agile methods, lean start-up, and customer development. His specialties include artificial intelligence, agile methods, lean start-up and mentoring. Aday delivered an interactive workshop explaining what a lean start-up involves, and the role of stakeholders and their value through two models; Lean Canvas and Lean Business Model. Once each of the participants' canvases had been drawn up, the speaker generated questions so that the participants could check whether the task was completed sufficiently, and where weaknesses could be found. In this way, Aday gave tips on how to adapt a business model to different markets. Another block of this workshop related to interviews, how to face them and how to obtain win-win results for the participants. Finally, the workshop expert contributed ideas about the prototyping stages. In this sense, he talked about MVP, the importance of knowing when and how to pivot and iterate and, lastly, useful tools to prototype services, software and applications. 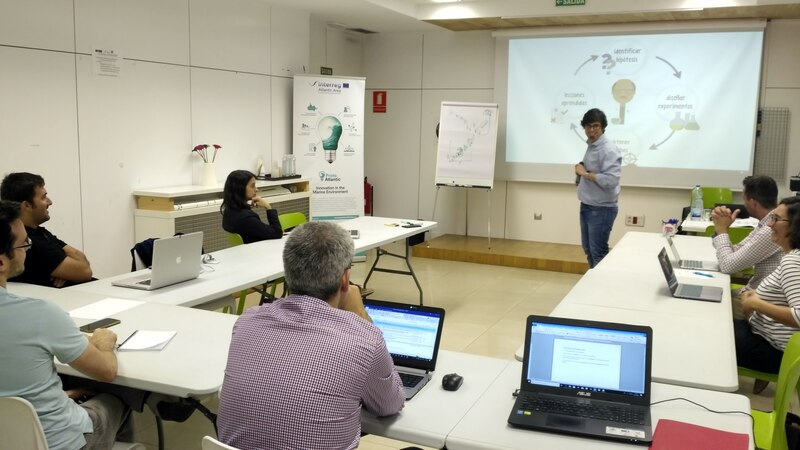 This ProtoAtlantic Accelerator Program workshop, on Lean Start-Up, was useful for participants to have a clearer and broader vision about Lean Start-Up. 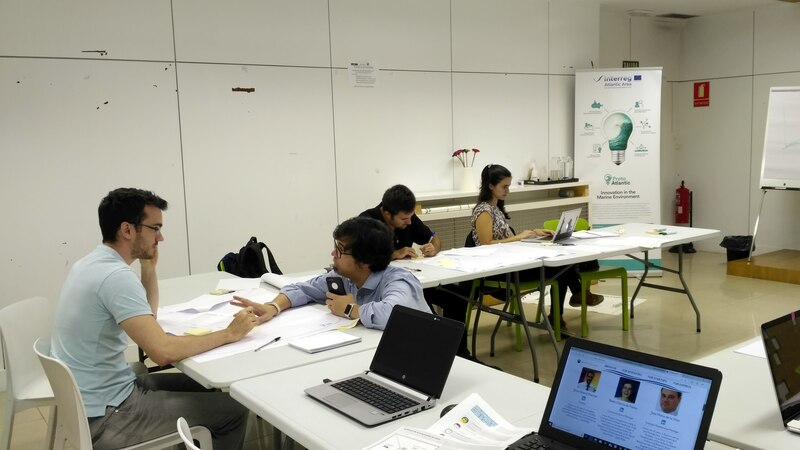 Following the completion of the workshop, participants were expected to participate in the week intensive ProtoAtlantic Accelerator Program Boot-Camp, which consisted on five intensive workshops, between 26th and 30th November in Las Palmas de Gran Canaria.